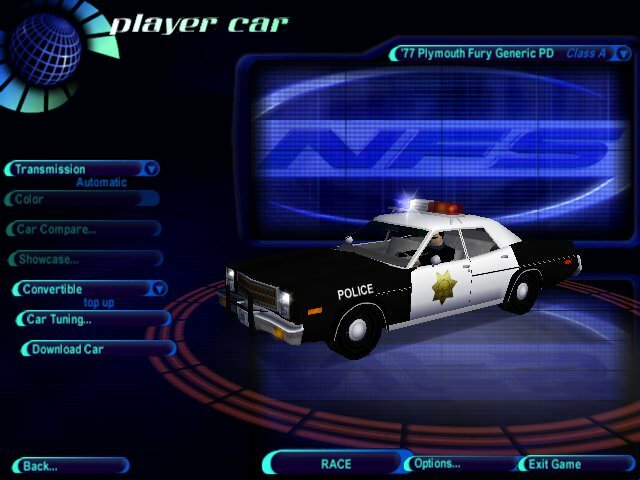 Unzip to a folder 'PFur' in your NFS\Data\Cars directory, the traffic car.viv goes to one of the traffic pursuit vehicles folders if you will: NFS\Data\Cars\traffic\Pursuit\'Sedan' (just for an example) ... make a backup copy of the concerning car.viv that is to be replaced before that .. If you want to use 'SFPD' livery variant open car.viv with NFSWizard and rename 'Car00.tga' to something else like for example 'Gen.tga' and then rename 'SFPD.tga' to Car00.tga, same with the traffic car variant .. 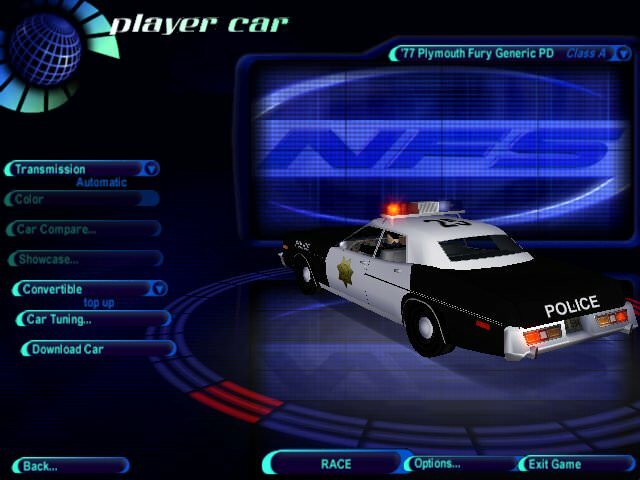 Copyright © 2013 NFS Police H.Q. All rights reserved.